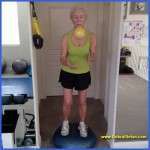 Bosu Balance Trainer- senior woman trains for dog walking stability. Bosu Balance Trainer- senior woman tosses ball while balancing. BOSU Balance Trainer home version will cost approximately $50 less than the commercial Bosu Pro version and both come with a one-year warranty. The basic home model is not warranted for commercial use. for safety reasons the company recommends that you do not stand on the flat side. 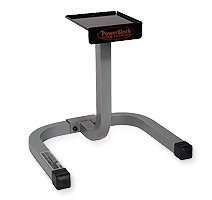 However, when the product was first introduced at fitness expos it was touted for being versatile for standing balances on both sides. Personally, I have introduced 70 and 80 year-old clients to the proper training progression safely and successfully. 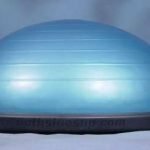 Place the Bosu Balance Trainer with the dome side up. Position the Balance Trainer in the middle of an interior doorway (pictured) on an even surface. Hold onto both sides of the doorway while placing a firm footing with the right foot positioned at the 3 o’clock position. While holding onto both sides of the doorway, step the left foot into place on the 9 o’clock position. Continue to lightly hold onto the sides of the doorway while accommodating to the unstable surface of the dome. 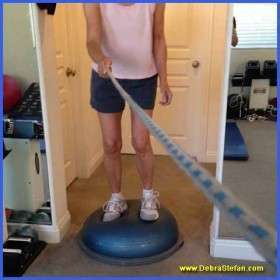 With weight even on both feet try to maintain a balance stance on the Bosu at a level position. The first time you do this, there will be a lot of shaking for about one minute followed by a new found steadiness. The nervous system gets excited learning a new brain-to-body motor pathway, but quickly learns where to find neutral. If you feel burning in the feet or calves, be sure to dismount early. Dismounting the Bosu from the flat side is the same in reverse as the mounting. Progressions begin by striving for 1-2 minute holds in order to activate the small stabilizers in the lower extremities through the calves and feet. This adaptation will not take long to work toward more dynamic movements. Seen pictured is a senior woman training for fall prevention and progressing to dog walking control. Once the brain-to-body connection adapts to the unstable surface of the Bosu Balance Trainer, balance is gained. 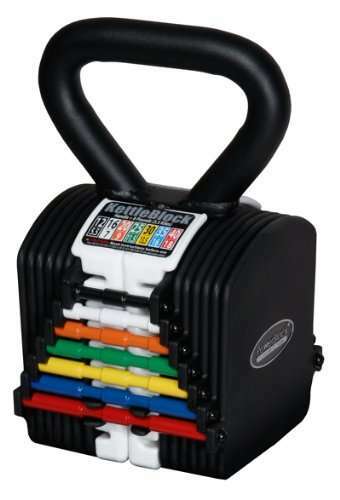 Additional challenges can then be introduced such as ball tossing or rope pulling. The corrective motor patterns are established and reactive forces are stimulated. These adaptations ensure a greater chance of righting oneself in the event of an unexpected misstep. Hence, fall prevention training has been successful. Seniors and those leading a sedentary lifestyle tend to do well with gaining balance as the first priority in fitness training. No matter what the age, people can gain and lose balance with use or disuse. The Bosu Balance Trainer is a proven apparatus for correcting unstable balance and slow reactivity. The sharper the corrective reflexes become with practice, the less likely one is to risk an unwanted fall. Many exercises can be performed on the Bosu Balance Trainer to target the abdominal and pelvic core. combines all the elements of fitness cardiovascular toning and flexibility into unique and highly effective combinations.